Natural Wonders of Iceland and Greenland – The Great Canadian Travel Co.
Book by 28 February 2019 for early bird prices! 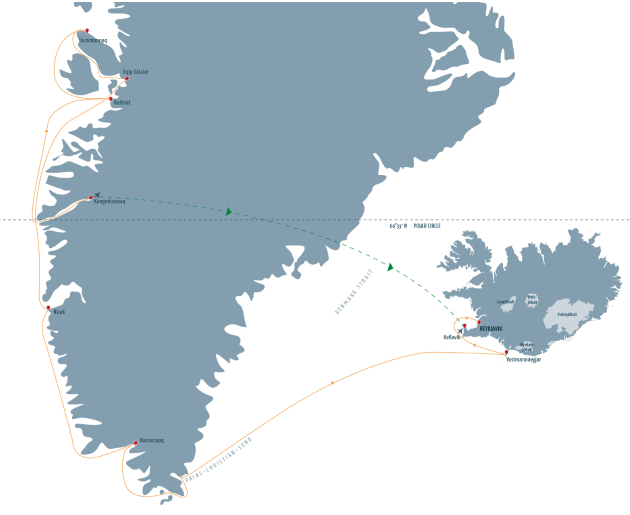 On these voyages between Iceland and Greenland you will discover the immense scenic and cultural variety of the world’s largest island and experience the differences in culture and geography of these two neighbouring North Atlantic countries. Early Booking Prices reflected are valid for all new bookings made and paid by the 28 February 2019, subject to cabin availability. Prices will revert to the regular pricing structure as of the 01 March, 2019. Prices are shown in US$ per person based on the cabin type and category shown. Triple Cabin requires three people sharing, double cabin is for two people sharing. A double cabin may also be booked for single use at 1.75X the per person, double share price. Use you leisure time in Reykjavik to uncover the unique charm of the world’s northernmost capital or take one of the many interesting day trips offered from Reykjavik. The ship dock in the Old Reykjavik Harbour, in the heart of the city and a short 5 minute stroll to the main squares, shopping and dining. The ship departs Reykjavik harbour at 6:00pm. Located off the coast of South Iceland, the island group Vestmannaeyjar was formed by submarine volcanic eruptions 10,000 years ago. Surtsey Island emerged from the sea in 1963 and is the youngest place on earth. We go ashore on Heimaey, the only inhabited island of the archipelago. Here the evidence of Iceland’s volcanic fury is on full display with half-buried houses in ash from a violent eruption in 1973 when the entire island had to be evacuated. An epic experience here is to play a round of golf in a sunken volcanic crater. When conditions are favourable we travel along the 70 mile (112 km) long Prins Christian Sound which connects the Labrador and Irminger Seas. In this narrow, often ice-choked channel, we come so close to icebergs you can almost reach out and touch one. 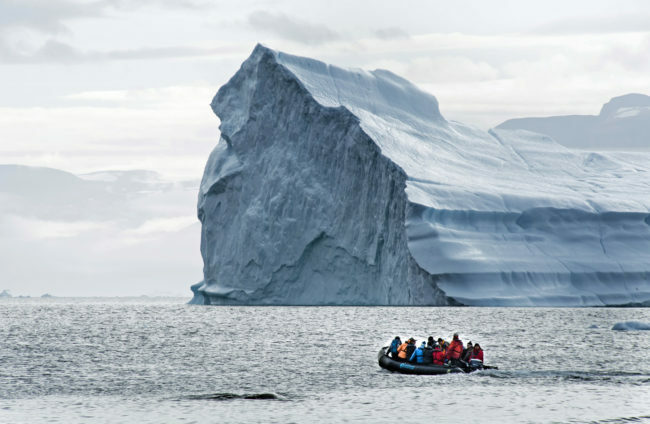 The force of Greenland’s massive, inland ice cap pushes glaciers towards the sea, where large hunks of ice break off and become floating icebergs. Nuuk is the capital of Greenland and its oldest town. 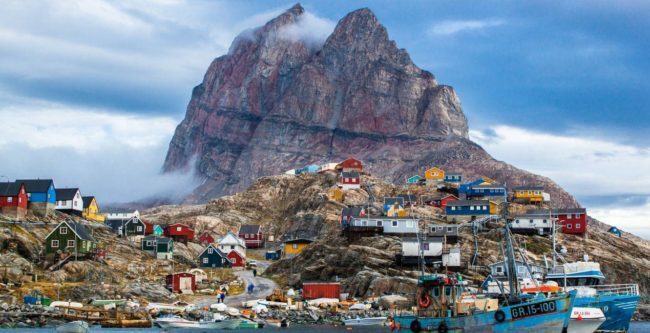 Founded in 1728 by Danish-Norwegian missionary Hans Egede, Nuuk combines Arctic traditions and European urbanity. With around 16,000 inhabitants, Nuuk is considered a modern, bustling metropolis compared to the rest of Greenland. 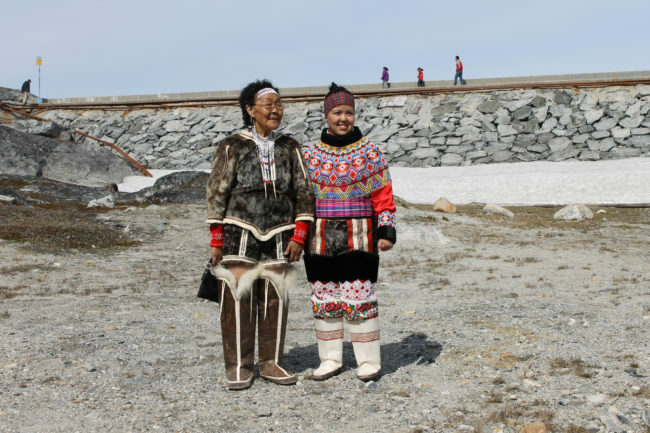 Visit the city sights on a walking tour that ends at the National Museum which exhibits the famous mummies of Qilakitsoq. With approx. 5,600 inhabitants, Sisimiut is the second largest town in Greenland. It is a modern settlement that maintains ancient traditions. The fishing industry still plays an important role. The natural harbour remains ice-free throughout the year which made it an attractive location for European whalers in former times. 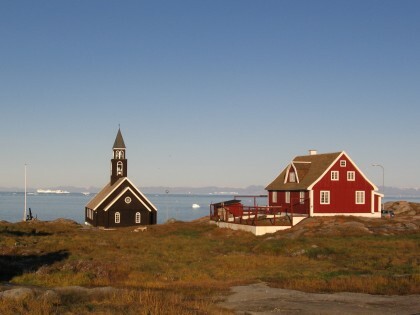 The small settlement of Qeqertarsuaq is located on the south coast off Disko Island. 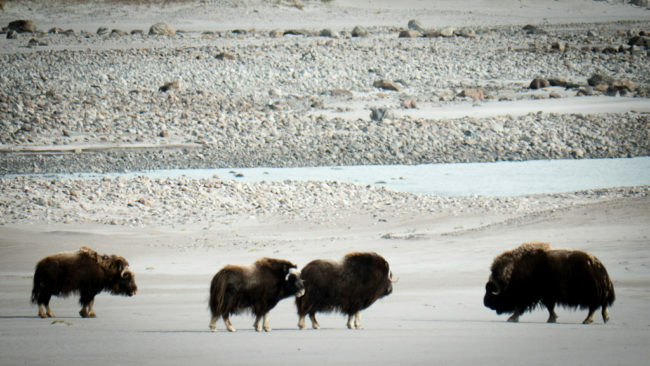 In 1773 the first whaling base was founded. Whaling has been of great importance to the town over the past two centuries. Hunting and fishing are still the primary occupations for the island’s inhabitants. Early morning we arrive at the 120 mile (193 km) long Kangerlussuaq Fjord and city of the same name. 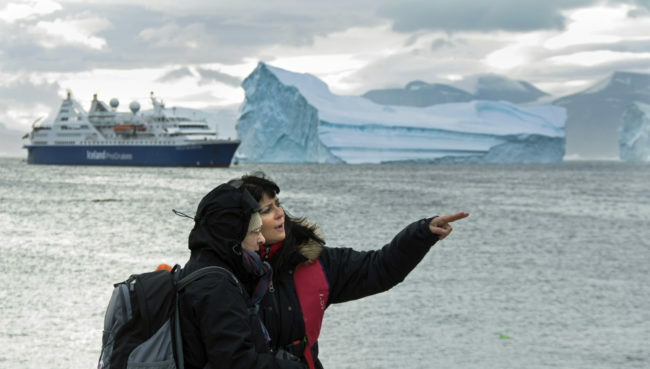 It’s time to bid farewell to the Ocean Diamond and your newfound expedition cruise friends. 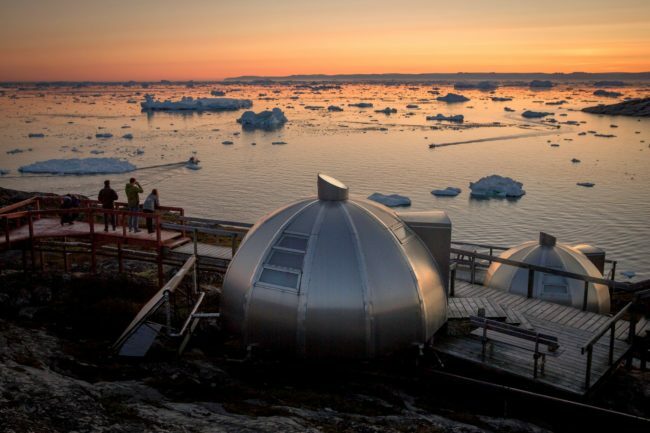 Greenland with beguile, from the beautiful and fertile south with its fascinating Viking history, the modern capital of Nuuk in a traditional Inuit society, to the town of Ilulissat with its floating icebergs. 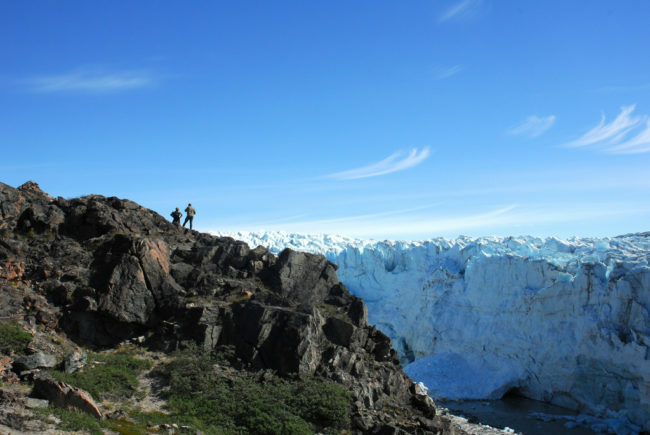 The Ilulissat Ice Fjord is a UNESCO World Heritage site and is a stunning sight to see. All these spectacles and more await you on your unforgettable journey from Iceland to Greenland aboard the Ocean Diamond. Welcome to Greenland! Kangerlussuaq airport looks back on an eventful history: in the late 1940s this airport was a hub on flight routes between the U.S. and Berlin during “Berlin-Blockade”. 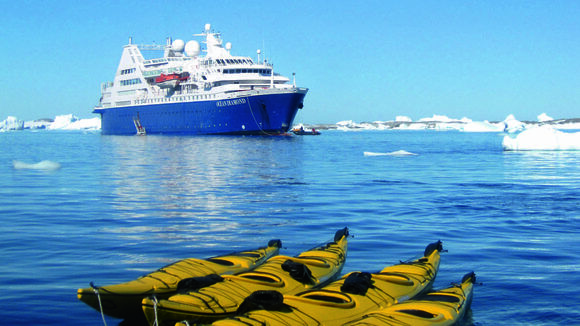 Ocean Diamond anchors off Kanglerlussuaq and embarkation is conducted via our Zodiac-boats. The OCEAN DIAMOND will depart Kangerlussuaq at 8 p.m. Learn more about the country and its people at interesting presentations provided by our knowledgeable and experienced Expedition Team. Enjoy the breathtaking nature in the Evighedsfjord. Delight in the thunderous spectacle when icebergs break off from Sermeq Kujalleq glacier and plunge into the fjord. 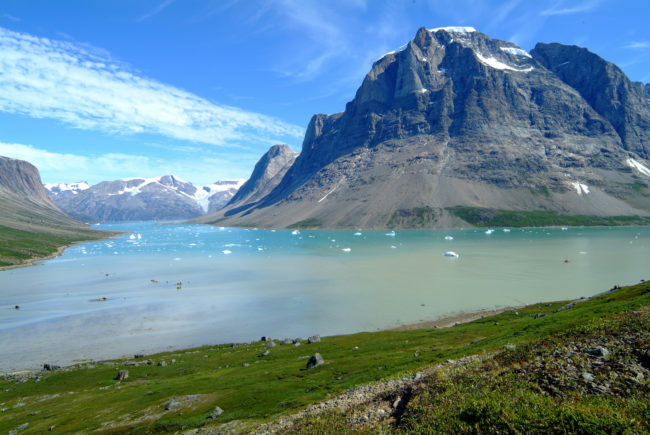 Sermeq Kujalleq is one of the most productive glaciers in the northern hemisphere and calves over 13 square miles (35 sq km) of ice every year. Today we visit Eqip Glacier and with a little luck, witness icebergs calving into the fjord. 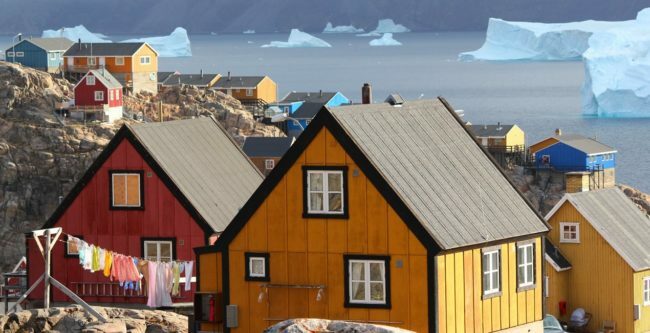 Enjoy the morning in Ilulissat and discover the town on one of our optional shore excursions. 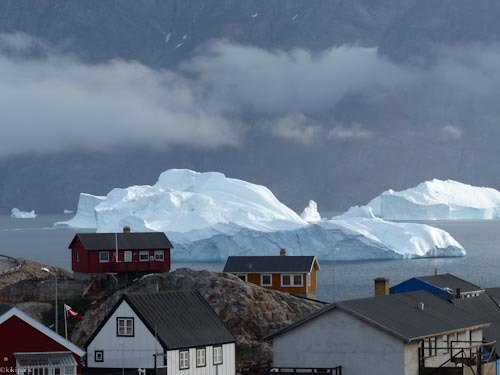 Ilulissat was originally founded by the Danes as a trading post in 1741. 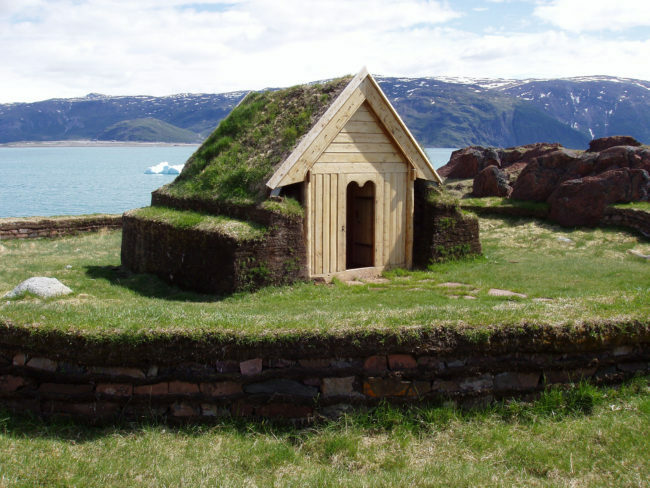 The optional city tour takes you to the harbor and the 18th-century Zion Church, which was once the largest man-made object in Greenland. Today we sail across the Denmark Strait towards Iceland. This Strait was used by Norse settlers reaching Greenland 900 years ago. En-route you may opt to attend fascinating presentations by our Expedition Team. In the morning we return to the port of Reykjavík. After breakfast it’s time to bid farewell to the OCEAN DIAMOND. Extend your stay in Iceland and book one of our post programs or explore Reykjavík and the surrounding area on your own. This chic capital of friendly citizens is the perfect city for those who want to refresh the spirit and combine invigorating activity, good food, nature appreciation and world-class cultural entertainment.